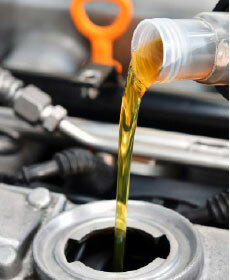 Service includes: Change engine oil, replace oil filter, perform multi-point inspection, exterior wash. There is nothing better you can do for your vehicle. *Excludes prepaid oil change packages. Price may vary by oil type and or vehicle model. Coupon not valid with any other offer. Must present coupon or show smartphone at time of purchase. Limit one coupon per person. Coupon does not apply to prior purchases. Other Restrictions may apply. Void where prohibited.